Both the defendant, standing trial for conspiracy to commit murder abroad in Pakistan, and the main witness against him, his daughter Amina, wept when they first saw each other. Amina's extended family stared at her with hostility. As she testified, Amina paused, hesitated, and sobbed. She and her father had been very close until he decided that she had become too "Americanized." This Pakistani-American father of five, a widower, worked seven days a week driving a cab in order to support his children; this included sending his daughter, Amina, to Brooklyn College. This is a successful American immigrant story—and yet, it is also a unique and unprecedented story as well, one which demands that Western law prevail over murderously misogynistic tribal honor codes. 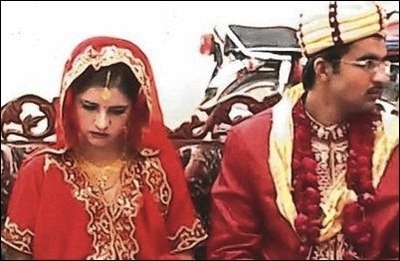 At some point, Mohammad Ajmal Choudry sent Amina to Pakistan so that she might re-connect with her "roots"—but he had her held hostage there for three years. During that time, Amina, an American citizen, was forced into an arranged marriage, ostensibly to her first cousin, who probably expected this marriage to lead to his American citizenship. Such arranged marriages, and arranged specifically for this purpose, are routine. They are also factors in a number of high profile honor killing cases in the United States, Canada, and Europe. For example, the Texas born and raised Said sisters, Aminah and Sarah, refused to marry Egyptian men as their Egyptian cab-driver father Yasir wanted them to do and he killed them for it. Canadian-Indian, Jaswinder Kaur, refused to marry the man her mother had chosen for her and instead married someone she loved. Her widowed mother and maternal uncle had her killed in India. They have been fighting extradition from Canada for more than a decade. Amina, who grew up in New York from the time she was nine years old, did not want to be held hostage to this marriage. Indeed, Amina had found a man whom she loved and wished to marry. Plucky Americanized Amina fled the arranged marriage within a month. With the help of a relative, the U.S. State Department, and ultimately, the Department of Homeland Security, Amina left Pakistan and went into hiding in the United States. She had to. Her father had threatened to kill her if she did not return to her husband, give up her boyfriend, or return to her father. Mohammad may have pledged Amina's hand without her knowledge, long, long ago. A female relative's sexual and reproductive activities are assets that belong to her father's family, her tribe, her religion. They are not seen as individual rights. Acting as if one is "free" to choose whom to marry and whom not to marry means that a woman has become too Westernized, or, in Amina's case, too "Americanized." This is a capital crime. From Mohammad's point of view, his beloved daughter had betrayed and dishonored him. She had "un-manned" him before his family. The desire to marry whom you want or to leave a violent marriage are viewed as filthy and selfish desires. Many Muslims in the Arab and Muslim world; Hindus and Muslims in India; and Muslims and, to a lesser extent, Sikhs in the West share this view and accordingly, perpetrate "honor killings." I do not like this phrase. An honor killing is dishonorable and it is also murder, plain and simple. It is a form of human sacrifice. It is also femicide--although sometimes boys and men are also murdered. I would like to call them "horror" murders. American federal statutes have allowed prosecutors to charge and convict American citizens and residents while they are in the United States for having committed crimes abroad. This includes conspiracy to commit murder, incite terrorism, launder money, engage in racketeering, etc. What did Mohammad Choudry do? According to the Indictment filed in United States District Court/the Eastern District of New York on September 20, 2013, Choudry "knowingly and intentionally conspired" to commit one or more murders. He contacted and wired money to at least four conspirators in Pakistan, including some relatives. Since Amina would not come out of hiding, their job was to murder the father and sister of Amina's boyfriend. And they did just that. An eyewitness "observed Choudry's brother standing over the victims, holding a gun and desecrating the bodies." The murders were committed in Pakistan "between January 2013 and February 2013." Mohammad Ajmal Choudry was arrested in New York on February 25, 2013. The trial began last week, in June, 2014. Amina testified that her father vowed to kill her and every member of her new lover's family if she did not do the right thing. The price of love or of freedom for Amina—and for other women in her position--is very high. She will have no family of origin. If she ever weakens and tries to seek them out, she risks being killed by one of her siblings, uncles, or cousins. After all, Amina entrapped her father on the phone by allowing him to death threaten her and others. I have published three studies about honor killing and am at work on a fourth such study. I have also written countless articles about this subject and submitted affidavits in cases where girls and women have fled honor killing families and are seeking political asylum. I am beginning to think that, like female genital mutilation, honor murder is so entrenched a custom that, in addition to prevention and prosecution, (at least in the West), what may be required is this: People may need to be taught courage, the art of resisting tribal barbarism. Families need to learn to go against tradition, withstand ostracism and mockery, withstand being cut off by their families and villages—for the sake of their daughters. One fear that a "dishonored" family has is that they will not be able to marry off their other daughters or sons. Perhaps educating a pool of potential marriage mates into understanding that murder is not "honorable;" that daughters' lives are valuable, that such horror murders are not religiously sanctioned (if indeed, that is the case), and that enacting tribal honor codes are high crimes in the West. The Choudry trial continues today in Brooklyn.